Airmen Golf Club and Recreational park is a unique recreational facility spread over 180 acres of Karachi’s pristine mangroves. The facilities offered are unparalleled and unique throughout the country, just 20 minutes from the busy Metropolitan city of lights. Here, nature and urbanization coexist. A completely different experience to elevate and rejuvenate the soul, out of the daily troubles of life. Airmen Golf Club & Recreational Park is the contribution of the Pakistan Air Force to the city of Karachi. This project was conceived in 2003, and was patronized throughout by the PAF. In fact, the club is located at the PAF base Korangi Creek. 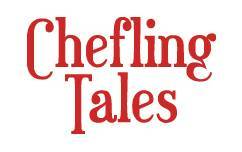 At Chefling Tales, we are working to discover, document and promote the food heritage and food tales of Pakistan. Pakistan Cuisine is a beautiful blend of flavors with regional and ethnic influences. It carries flavors that varies from one terrain to the other and one season to the next. The diverse flavors also tell a tale of their origin and of the food that passed on from one generation to another. Defence Raya Golf Resort is the result of a partnership between DHA Lahore & BRDB Malaysia. 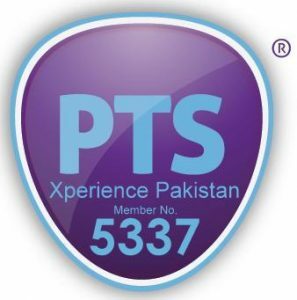 It is Pakistan’s first golf resort and housing community. Its built around the lush greens of an 18 hole international standard golf course. The club not only boasts a beautiful golf course but beautiful rooms, spa and leisure facilities. It is also home to some of the finest chefs providing with you a variety of cuisines whilst staying at the resort. 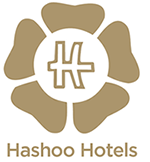 The Hashoo name has been synonymous with the hospitality industry for decades – from being the first to bring a world-class hotel chain to Pakistan, to becoming a niche player in budget hospitality, the group offers a complete range of hotels and experiences to guests from around the country, and around the globe. Whether you use his hotel as a stop over on route to another destination or as a final destination, you will not be disappointed. Siraj, a passionate & patriotic Pakistani is extremely enthusiastic about showing off his home town and community to all of his guests. Siraj will provide you with hours of stories to bide those cold evenings away. A family run hotel and set amongst the peaks of some of the highest and most beautiful mountains in Pakistan. Hindukush Heights oozes with luxury & provides you with the comforts of home away from home. At Ride the KKH, we provide you with a stress free way to explore one of the most wild, rugged and beautiful areas in existence today. But here’s the catch: you leave your notions of 7- star vacations and eight course meals at home, and we take you on an authentic adventure through some of the world’s most exquisite places. The famous Karakorum Highway is the iconic road where the three highest mountain ranges in the world converge. Experience the wild vistas, the fresh air and most importantly, the warmth and hospitality of Pakistan’s exceptional people. Ride the KKH is your gateway to a bonafide adventure in Pakistan: we indulge in few frills and few fuss, but we are dedicated to providing you with the experience of a lifetime. Sehrai Rail Tours are run by Zahoor Durrani an experienced tour guide, historian and railway lover. Zahoor Durrani has been in the travel & tourism business over the last four decades, specializing in archaeological, cultural, adventure projects. A steam buff & promoter of the world renowned Khyber Steam Safari, a route which takes you through the legendary Khyber Pass Pull & Push by a vintage steam hauled Victorian steam engine. Live a well-traveled life in style and experience authentic cuisines, indigenous aesthetics and spectacular delights in some of the world’s most extraordinary locations with Serena Hotels. Our diverse collection of hotels & resorts in Pakistan lean towards distinctive and inspirational experiences. We believe in introducing our guests to the true essence of their hosts. Our destinations offer unusually complex and colorful ethnic character, celebrating a charismatic mix of peoples. At Serena Hotels, your Serena Experience begins once you arrive.